Roberto Mancini’s fall through the thinnest of ice he was skating on at Manchester City has prompted Ladbrokes to open a book on where his next permanent managerial position will be now that he has departed the Etihad. Monaco are the clear favourites in this regard at 1/3 and this is not an ultimate surprise as he was linked with the club last summer before Claudio Ranieri was eventually appointed. Meanwhile, Ranieri tends to be unfortunate at virtually every club he manages in the sense that he makes them stronger than when he took over, gets them to the brink of a league title, but is then gone before the job is completed. He certainly laid the groundwork for Jose Mourinho at Chelsea, finished third with Juventus in their first season after promotion from Serie B and then most recently had Roma within a whisker of winning the Serie A title. It would certainly be no surprise that with Monaco back in the French top flight and having an excessive amount of money to spend, if they decided Ranieri’s job was done when a seemingly bigger name was available and showed an interest in taking over. This could well be Mancini, if Man City decide that Manuel Pellegrini is the man to lead them forward in the battle with Manchester United next season to reclaim the Premier League title. Monaco are certainly not hanging around in their efforts to purchase a squad capable of competing with the likes of PSG, as Radamel Falcao is reportedly on the cusp of joining from Atletico Madrid. 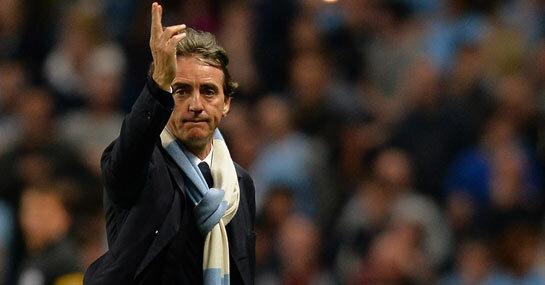 If Mancini’s next job isn’t at Monaco, then the betting suggests that PSG would be his next likely destination at 7/2. A return to Italy is less expected, with 8/1 the price that he has a second stint at Inter Milan, 12/1 he returns to Lazio and 16/1 that he heads to their chief rivals Roma.